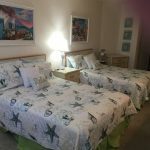 Our Condo – WELCOME TO MAROONED ON MARCO ISLAND! 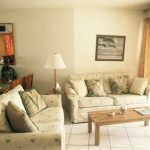 Our condo offers you everything you need for a comfortable stay. 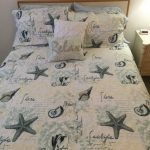 Our tranquil bedroom has two double beds that sleeps up to four and a living room sofa pulls out to another full bed. The bedroom is a great retreat to watch tv or read. 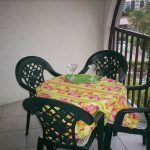 You can also step out on to our newly tiled lanai. 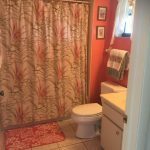 The bathroom will remind you of the colors of a Marco Island sunset and is stocked with towels, hairdryers, paper products, soap and other necessities. 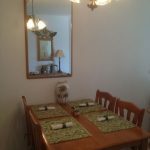 You can decide to eat in and use the kitchen, dining casually at the bar, or formally at the table. 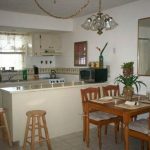 The tropical decor in the kitchen and living area is warm, inviting, and spacious. When inside you’ll be nice and cool due to our brand new, high efficiency air conditioning unit. 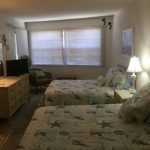 In addition, our condo thoughtfully provides you with beach chairs, beach towels, coolers, bags, water toys, pails and shovels, beach umbrella, tennis rackets and balls, ice packs, and games. All you need are your clothes and a desire to have a great time! 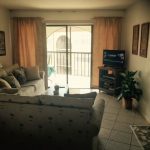 Find out why Marco is the place to go! Do as the pillow says-Relax! Watch the morning’s weather forecast.